A friendship with someone who has borderline personality disorder (BPD) is not always easy. There may be times when your friend feels totally hopeless or out of control, causing you to feel helpless as well. Here are some general principles you can follow to be a good friend to someone with BPD. The most important thing you can do to help a friend with BPD is to take some time to just listen and validate his feelings. You may not necessarily agree with his evaluation of a situation or feel that the intensity of his feelings is justified by the situation (strong ​emotional reactions are part of the disorder). However, you can still let him know that you understand how he's feeling and how difficult that must be. 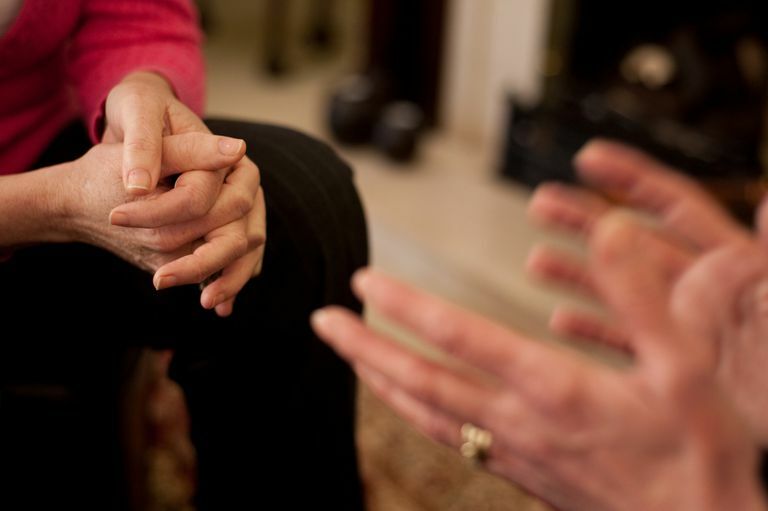 Receiving validation from another person can provide tremendous relief to someone with BPD. Many people with BPD grew up in emotionally invalidating environments and expect that no one cares how they feel. Other people with BPD did not grow up in a poor emotional environment. Because of the nature of the disorder, however, they have grown accustomed to people telling them that they are overreacting. So, having someone actually care about how they feel can be powerful. If you have a friend with BPD, it is critically important to educate yourself about the disorder. Friendships with people with BPD can be rocky, and you need to know what to expect. Sometimes, people with BPD engage in behaviors that can seem manipulative, mean-spirited, or destructive. It is important to understand the disorder so that you can recognize these behaviors for what they are: symptoms of your friend’s inner suffering. Understanding that these behaviors are not intended to harm you may help you build more empathy for your friend. It usually isn’t productive to try to force your friend to get professional help, no matter how badly she needs it (one exception is if an emergency situation arises; read about what to do in a crisis). However, you can support her when she decides to get help. This may mean telling your friend that you are proud of her for asking for help or that you think this is a courageous move. She may also need some other kinds of support (such as rides to appointments, visits in the hospital). Whatever you do, it will mean a lot to your friend to know you are behind her. Suicidal threats and gestures are quite common in people with BPD. Some people with BPD will make multiple suicidal threats, which leads their family and friends to become desensitized to this kind of behavior. However, even if your friend has made suicidal threats in the past without actually attempting suicide, people with BPD are at very high risk of attempting and completing suicide. In fact, about 10 percent of people with BPD actually complete suicide. For this reason, even if you don’t think she will actually do it, never ignore a threat of suicide. Instead, call emergency personnel (such as “911” in the United States and Canada) any time you believe there is a risk your friend may harm herself. Leave it to the professionals to decide whether there is a serious risk of harm. Sometimes friendships with people who have BPD become unbalanced, and you find yourself giving more than you receive. If this happens occasionally, it is usually fine. This is how relationships work; they can’t always be an even 50-50 split. But if this is happening all the time, it will create a strain in the relationship. Research has shown that friends and family that care for people with BPD have high rates of hostility, anxiety, depression, and distrust. If you give too much, you may start to feel resentful or burned out. After a while, you may get to the point that you need to end the relationship for your own health. In the long term, it is probably more helpful for a person with BPD to have a consistent, reliable friend than to have a friend who is 100 percent there for him for a few months and then disappears forever. For this reason, it is important for you to take care of yourself, take breaks from your friend when needed, and create good boundaries so that you can get your needs fulfilled. All of this is easier said than done. It requires assertive communication skills and sufficient self-awareness to understand when it is time to pull back a bit. However, it is possible to have a long-term friendship with someone with BPD if you work at it. American Psychiatric Association. "Practice Guideline for the Treatment of Patients with Borderline Personality Disorder." American Journal of Psychiatry, 158:1-52, 2001. Kreger R. The Essential Family Guide to Borderline Personality Disorder. Center City, Minnesota: Hazelden, 2008. Scheirs JGM, Bok S. “Psychological Distress in Caretakers or Relatives of Patients with Borderline Personality Disorder.” International Journal of Social Psychiatry, 53(3):195-203, 2007.